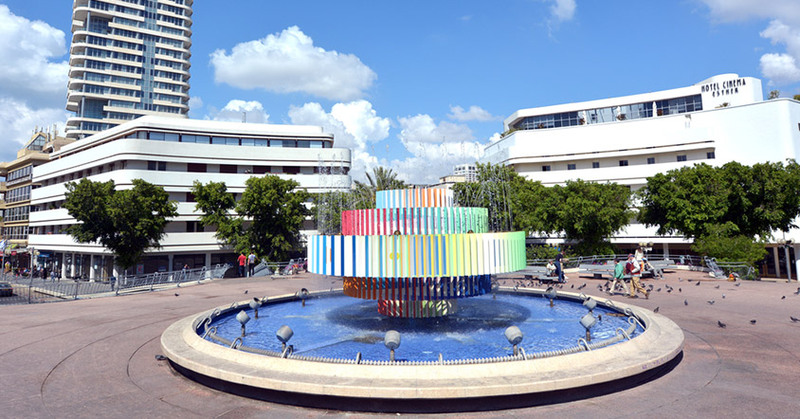 Built in the 1930s in tribute to Tel Aviv’s first mayor, Meir Dizengoff, this famous boulevard runs parallel to the beach a few blocks to the east and plays a central role in the White City’s culture and history. So central that in Hebrew you can even say “do you Dizengoff?” (l’hizdangef) as an invitation to stroll down this iconic street. Starting just below the Tel Aviv Port –Namal- and ending just past the Mann Auditorium concert hall, Dizengoff has put aside its dinginess of the past and regained its vibrant position, with designer shops, museums, nightlife joints and natural food spots. Dizengoff Street is 3km long, so if you haven’t got the time to walk its full length or to be distracted from the non-stop action happening on both sides of the street, our brilliant Concierge team at The Norman Tel Aviv can offer a perfectly bespoke guide on what you should see and do on Dizengoff Street. In the meantime we have put together a mini guide to this emblematic artery. Inaugurated in 1957 and home to the Israeli Philharmonic Orchestra, the auditorium has hosted the musical greats such as Leonard Berenstein, Izhak Perelman, Yehudi Menuhin, Daniel Barenboim and continues to do so. This one-of-a-kind shopping mall straddles both sides of the street and was the first mall to open in Israel in 1983. Its two towers are connected by skywalks and underground passages and the mall hosts more than 400 stores, a multiplex movie theatre, restaurants, exhibition center, gyms. Every Thursday and Friday a very tempting food fair occupies its alleys. For everything Bauhaus, this is the place! With books, beautiful objects and local tours unpacking the history of Bauhaus architecture in Tel Aviv. The plaza is at the confluence of six streets, built in the 1930’s in honor of the Mayor’s wife Tzina. Reconstructed and elevated above the street in the 1970’s to ease traffic congestion, the controversial fountain was then added. Whatever your opinion, the spectacle of the moving fountain with water and fire won’t be easily forgotten. A category unto itself on Dizengoff, bridal shops overpopulate the area, especially north of Arlozorov Street. Perfect for minimalistic and bombastic brides, and everyone else in the middle. Anywhere along Dizengoff you can stop for a natural juice, a delicious pasta, falafel, seafood, local food, fast food and more. And then, when you’re ready to return to The Norman and the peace and tranquility, know we will be waiting for you.